Francis Turretin stands as one of the strongest representative examples of Reformed Scholasticism. 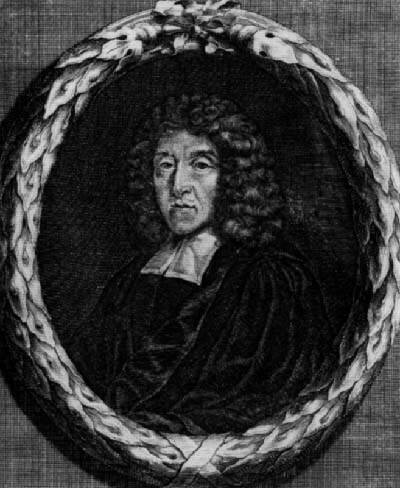 William van Asselt says that although he was very influential during the time of High Orthodoxy, his Institutes’ influence “was not limited to that time, but reached far into the nineteenth century, wherever they remained in use in the Netherlands, Scotland, and North America.” Admittedly, his influence had waned in recent years until the translation of his three volume Institutes of Elenctic Theology into English by George M. Geiger in the 1990s. Before that, however, he was well regarded by Jonathan Edwards who called his Institutes “excellent,” and also commented that between Turretin and Peter Van Mastricht, it was Turretin who was by far the best polemicist. John Gerstner said of Turretin that he was “the most precise theologian in the Calvinistic tradition.” Considering the importance, influence, and high regard with which Turretin has been held, it is of some importance to ask whether it is a right or fair representation of Turretin’s views for Kruger to cite him in his defense of the self-authenticating model. Having already briefly explored Kruger’s view, an understanding of Turretin on the subject is now in order. The Institutes are organized following a traditional scholastic method of Loci subdivided by Quaestiones. These questions highlight the polemical context of Turretin’s book and a brief read through the Institutes reveals a theologian who is engaging—not on a practical or pastoral level as Calvin was doing—but on an academic level against Roman Catholics, arminians, and socinians. In the Institutes, Turretin does not directly answer the question as to where the canon came from in as comprehensive a way as Kruger does. Turretin does, however, face several difficult Roman Catholic objections regarding the canon, and it is there that some important inferences can be drawn from him on the subject of the canon of Scripture. The first relevant question that Turretin sets forth is, “Why, or on account of what, do we believe that the Bible is the word of God; or what argument does the Holy Spirit principally use to convince us of the inspiration of the Scriptures?” He then narrows the options to two, which he then considers in turn. For Turretin, either “the testimony and voice of the church” or “the marks impressed upon Scripture itself” are that on account of which we believe the Bible to be the word of God. He denies the former and affirms the latter. It is not always necessary that a thing should be proved by something else. For there are some things which are self-evident according to the philosophers…which are not susceptible to demonstration, but are evident by their own light and are taken for granted as certain and indubitable. He then places the Bible into this category of principia: “Therefore since the Bible is the first principle and primary and infallible truth, is it strange to say that it can be proved by itself?” This point alone places Turretin outside of the majority of Evidentialist apologetic methodologies and ought to be considered as highly relevant to this discussion. Further consideration of Turretin’s view of canon must take into account the way he grounds knowledge of the canon in Scripture. If the Scriptures themselves are self-evident and self-proved, it would be entirely inconsistent for Turretin to argue based upon external evidences that the canon is able to be known. It would, however, still be possible for him to remain consistent while arguing that external evidences confirm what is already known reliably from the Scriptures themselves. It is also helpful to keep in mind that Turretin is not saying that Scripture is the only principle by which men may gain knowledge. Rather, he is placing Scripture in the same category as other things that can be “known in themselves,” and yet themselves cannot be subjected to proofs, such as the laws of logic. He leaves open the possibility that other things may be known outside of Scripture. Third, Turretin argues that the Scriptures are not known or recognized through an inductive chain of reasoning, but are “immediately distinguished.” The word “immediately” is carefully chosen by Turretin to reflect the lack of a chain of argument in ascertaining the Scripture’s divine qualities. He uses metaphors from Scripture such as taste, sight, and smell to argue that the divine qualities of Scripture can be appreciated just as immediately as one can see something lovely or smell something delicious. Just as “there is no need to seek elsewhere for proof that this is light,” so it is with the Scriptures. Finally, Turretin argues against “the testimony of the church” by stating that his own opponents make arguments that demonstrate the divine marks of Scripture. He then quotes Bellarmine who says that the Scriptures are to be highly regarded by all. the goldsmith who separates the dross from the gold…distinguishes the pure from the unadulterated, but does not make it pure…Nor can the judgment of the church give authority to the books which they do not possess of themselves; rather she declares the already existing authority by arguments drawn from the books themselves. Second, he appeals to the declarations of Luke and of Paul to substantiate the completeness of the Scriptures. He points to Luke 24:27, “all the prophets and all of the Scriptures” and to Romans 15:4, “whatsoever things were written aforetime were written for our learning” arguing that Paul and Luke could not have made such references “unless they supposed that all the writings of the Old Testament existed.” In this point, it is clear that Turretin is specifically defending the notion of a complete Old Testament canon. Fourth, Turretin argues that of all the crimes Christ and the apostles charged the Jews with, they never charged them with being careless in the caring of or the transmission of the Scriptures. Of these arguments, the first five are undoubtedly theological in nature and even presuppose the truth of the Scriptures for their force. The sixth argument is the most obviously historical in its methodology. Turretin is also careful to explain that there is a threefold distinction between the “efficient cause” of one’s belief, the “argument on account of which” one believes, and the “means and instrument” through which one believed. He argues that the Holy Spirit is the efficient cause of belief, the church is the means and instrument through which the belief comes, and that the Scripture itself is “the argument on account of which” one believes (the Papists put the Church in this place). Though it will be discussed more in the next section, it is worth noting that this threefold causation of belief in Scripture strongly parallels Kruger’s three-dimensional epistemic environment for the self-authenticating model. Concluding this brief exploration of Turretin’s understanding of the canon, it can be summarized that Turretin bases his argument for the soundness of the canon on theological considerations founded in Scripture, supported and confirmed by historical methods, recognizing the Holy Spirit being the “efficient cause and principle from which” belief comes.